• Colorless to dark-brown, oil, odorless liquid. 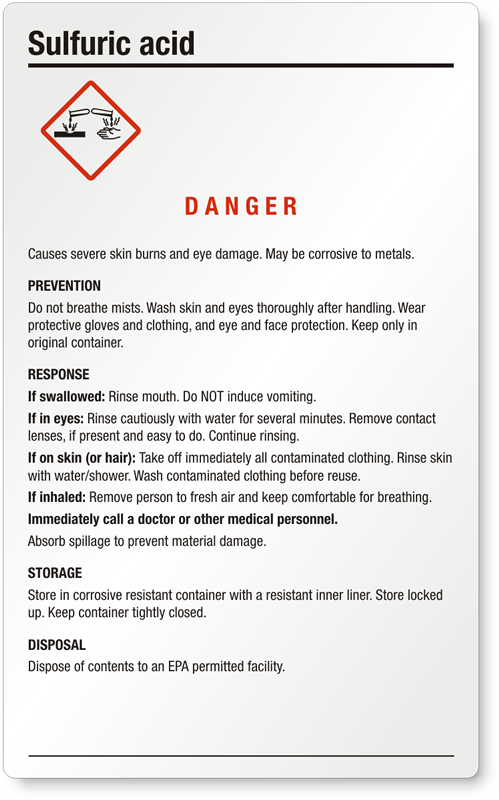 Corrosive, causes severe burns to eyes/skin/respiratory tract. May cause blindness. Chronic: tooth erosion, GI disturbances, and dermatitis. 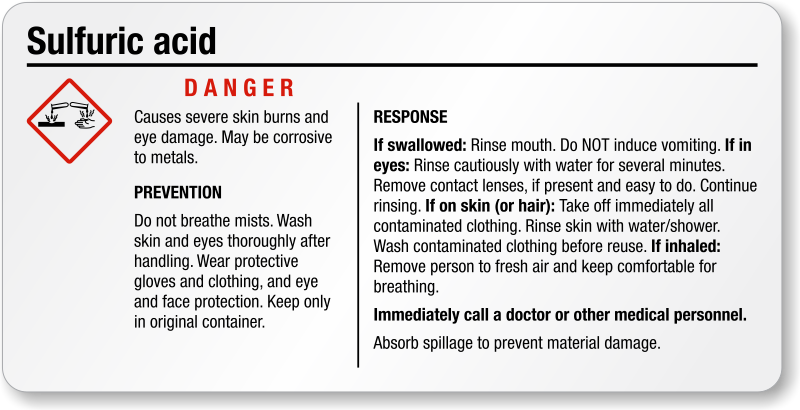 Reaction with water produces excessive heat. 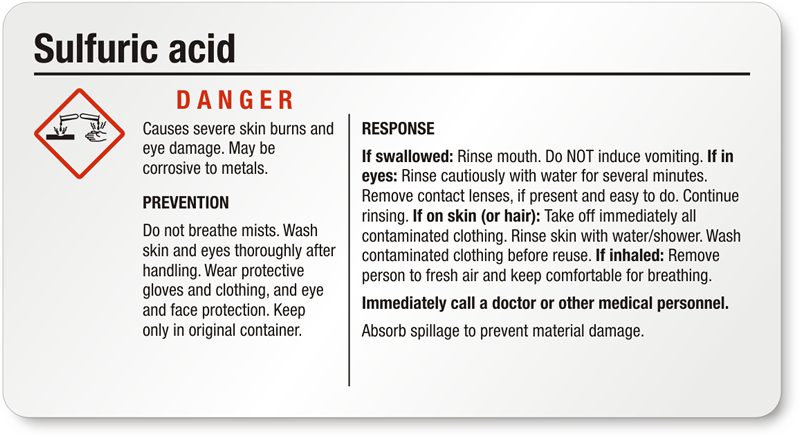 Sulfuric Acid: Causes severe skin burns and eye damage. 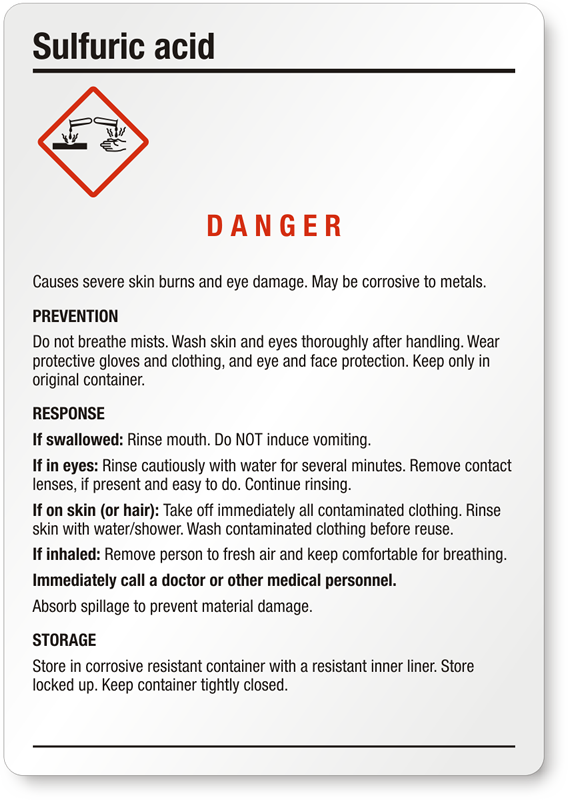 May be corrosive to metals.